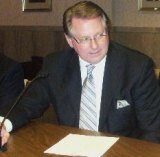 HUNTINGTON, WV (HNN) - A meeting of the Finance Committee of Huntington City Council scheduled for Thursday, Jan. 27, has been rescheduled, according to Steve Williams, chairman. 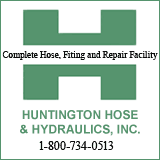 The new meeting date will be Tuesday, Feb. 1 at 5:30 p.m. in Huntington City Council Chambers. Steve Williams, finance committee chairman, told HNN that the decision to postpone came from an administration request so that the meeting would not conflict with the Create Huntington dinner.